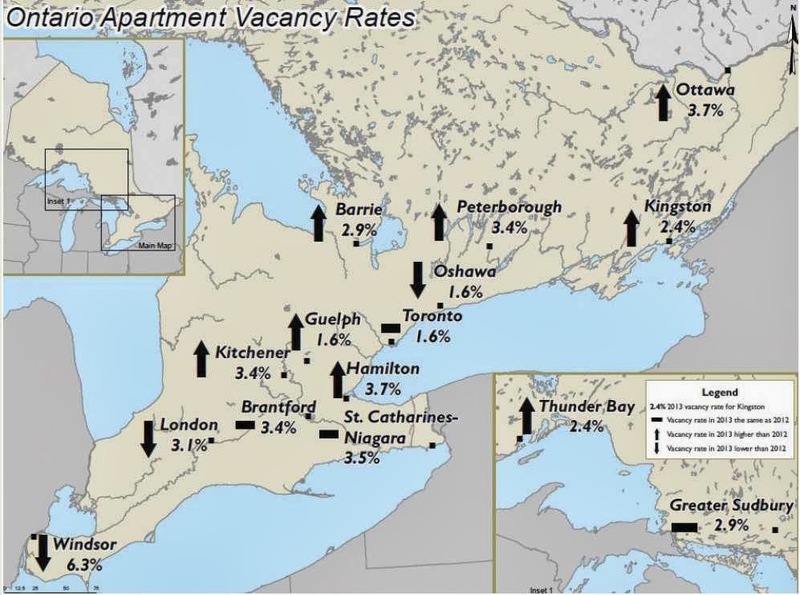 According to Canada Mortgage and Housing Corporation’s (CMHC) Spring 2013 Rental Market Survey, Ontario vacancy rates edged higher to 2.6 per cent in April 2013, up from 2.3 per cent in the spring of 2012. With the universe of purpose-built rental units remaining unchanged, demand factors were entirely at play impacting vacancy rates this spring. Vacancy rates moved higher for bachelor (2.7%), 1-bedroom (2.7%) and 2- bedroom (2.5%) apartment units while remaining stable for three bedroom (2.2%) units. Predicting the future is not for everyone. I only like to predict about 2 to 3 weeks into the future with any certainty. Anything beyond that becomes speculation based upon trends, current conditions and human sentiment. Thus, I can speculate for you for 2014. 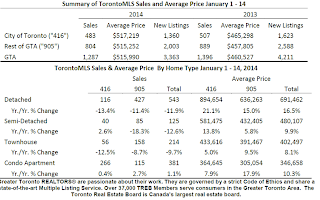 It would appear that our real estate market is poised to have another positive year regarding prices and sales volumes. 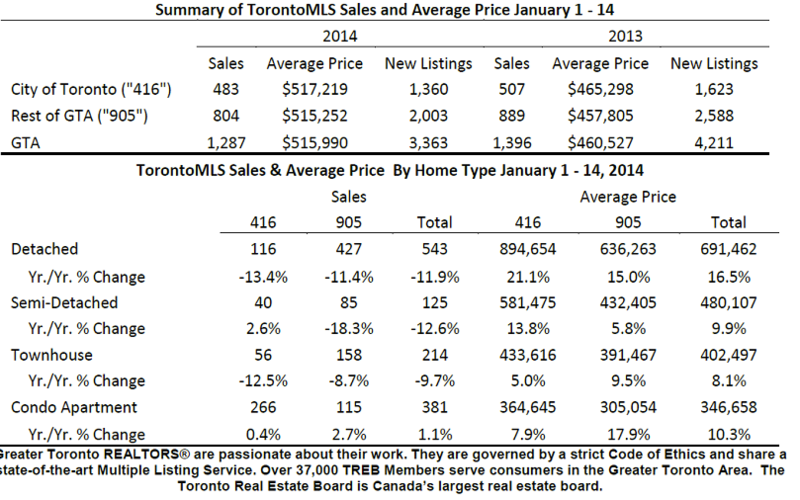 I don't see our condo market softening too much more than it currently is. I believe we are in for another 'normal' year for real estate this year. With that said, unless we see an improvement in the condo market around Square One, our local condominium marketplace could sag in the first quarter. We won't know the direction until about March or April. The December results are not out and it was a 'normal' December, slow, but typical. 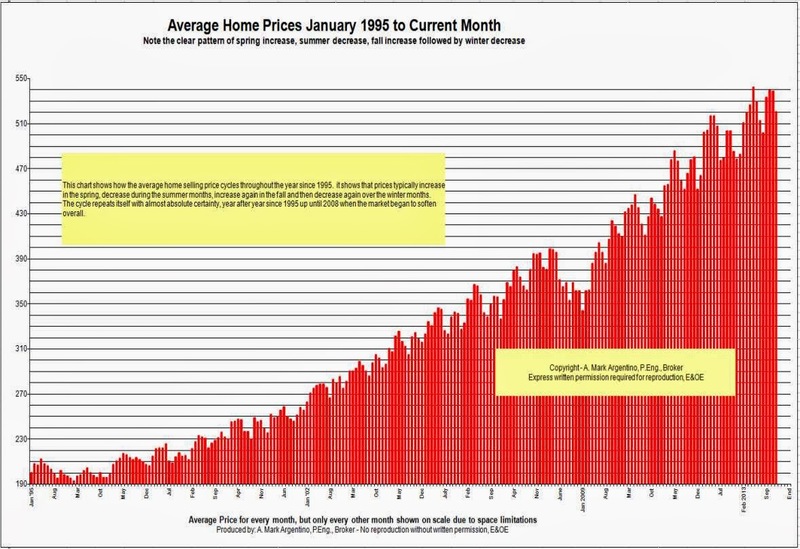 January 2014 (now) is not beginning with a boom, but it could also be the ice cold temperatures - we are all hoping for some improvement in the weather and the real estate market in the coming weeks! Inflation in Canada has moved further below the 2 per cent target, owing largely to significant excess supply in the economy and heightened competition in the retail sector. The path for inflation is now expected to be lower than previously anticipated for most of the projection period. The Bank expects inflation to return to the 2 per cent target in about two years, as the effects of retail competition issipate and excess capacity is absorbed. Global growth is expected to strengthen over the next two years, rising from 2.9 per cent in 2013 to 3.4 per cent in 2014 and 3.7 per cent in 2015. The United States will lead this acceleration, aided by diminishing fiscal drag, accommodative monetary policy and stronger household balance sheets. The improving U.S. outlook is affecting global bond, equity, and currency markets. Growth in other regions is evolving largely as projected in the Bank's October Monetary Policy Report (MPR). Global trade growth plunged after 2011, but is poised to recover as global demand strengthens. confidence and investment. Meanwhile, recent data have been consistent with the Bank's expectation of a soft landing in the housing market and a stabilization of household indebtedness relative to income. The bank wasn't expected to raise or lower rates on Wednesday, but watchers are closely parsing the statement to gauge which direction the bank is heading in - a rate hike to cool inflation, or a rate cut to stimulate the economy. Wednesday's statement suggests the bank is leaning toward the former. The loonie plunged in the immediate aftermath of the news, shedding about a third of a cent to trade at 90.70 cents US. This is a very good article and puts things into perspective - it's very true and inspirational! This was a re-tweet that I just read and copied here for you to read and enjoy! your life would still be full. The pebbles are the other things that matter like your job, your house and your car.. The sand is everything else--the small stuff. Take care of the golf balls first--the things that really matter. Set your priorities. The rest is just sand. My son Evan read this and responded to me and said " The fortunate part is that you can definitely empty out the jar and fill it again in a different way." .... and I never thought of this, but it's so true, you can start over at anytime in your life with new goals and aspirations, love it! We expect this spring market to increase by about the same as previous year increases. We do not see mortgage interest rates increasing for at least a year, maybe another 18 months, the mortgage market is soft and the economy would not be able to absorb a sudden increase in rates. I don't think you should ever delay your house purchase decision, unless you have a very good reason to do so. The sooner you get into the real estate market, the more money you will be putting towards your mortgage principal and paying down your mortgage, you will be increasing your equity and the less money you will waste spending on rent.